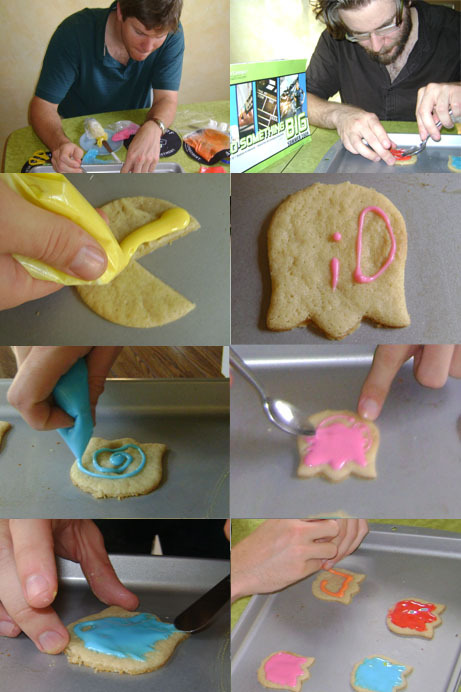 Pacman Cookie Recipe: Easy, Delicious, Fun | A Sugar Cookie "How To "
Pacman Cookie Recipe! Easy, Fun, Delicious. At iD Tech Camps, our students learn how to make video games. 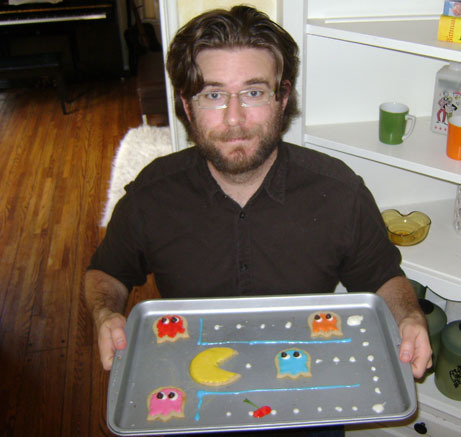 But today, I’m going to teach you how to make cookies that are based on video games. 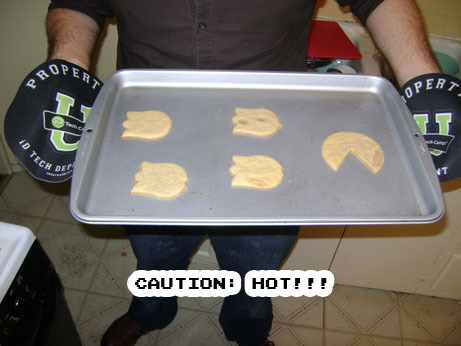 Specifically, Pacman cookies. 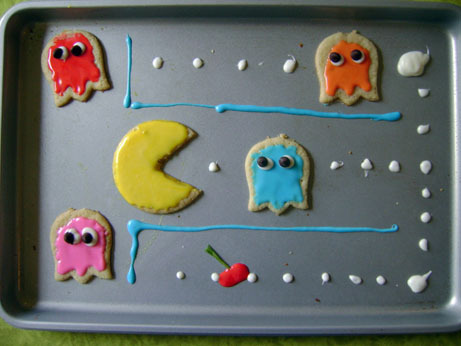 This post will be a step-by-step tutorial of how to make Pacman themed cookies. 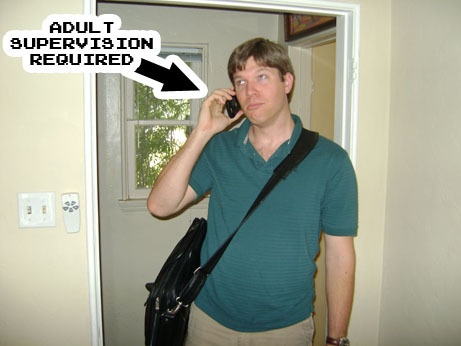 First, do not attempt to cook or use the oven without an adult present! 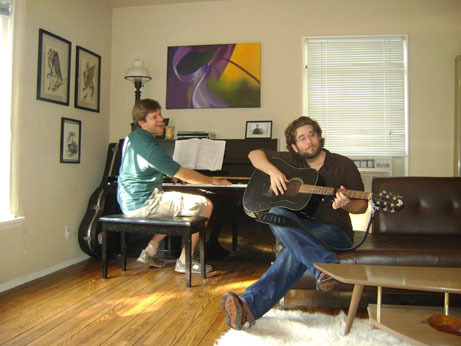 As I am no exception to this rule, I asked my adult friend Charlie to come supervise me. 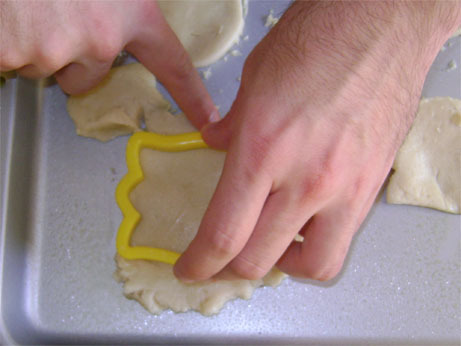 Before getting your hands dirty, you are going to need the proper cookie cutters to make the shapes. 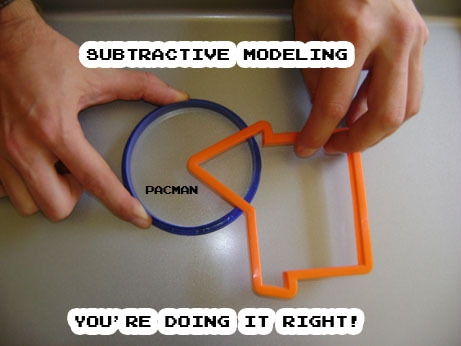 Unfortunately, actual Pacman cookie cutters do not exist so you’ll need to improvise. 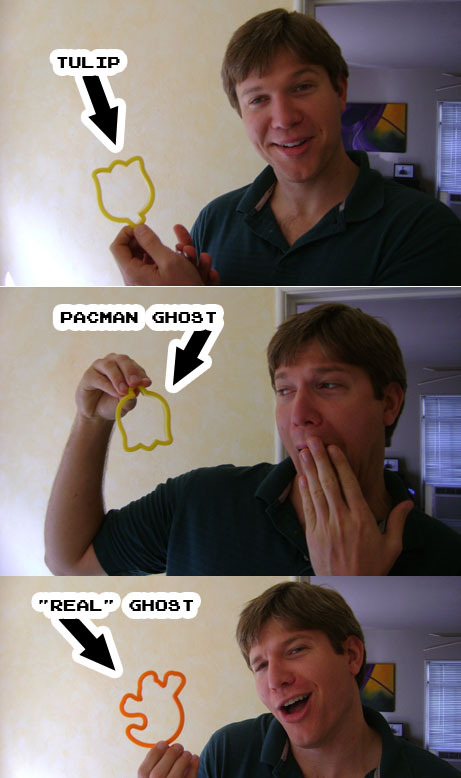 There are two different shapes you need to create, the “ghost” shape and the “Pacman” shape. Of course, you can also just cheat on the sugar cookies (like I did) and buy some pre-made dough. 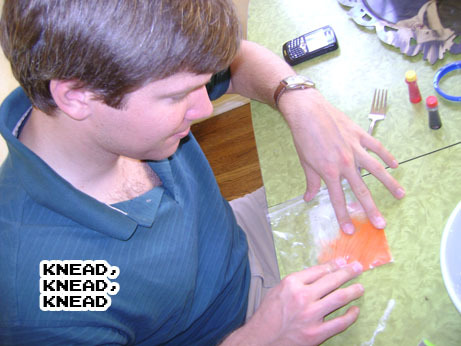 Once the dough is ready, lay it out and begin to make shapes. I found that transferring the shapes from the cutting board to the baking tray was very difficult, so you are best off creating the shapes directly on the baking tray. Make sure to spray it down with oil first. 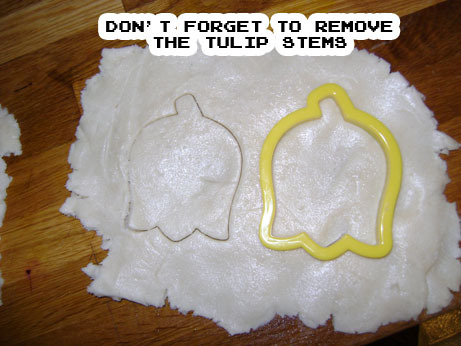 I recommend removing the excess dough while the stencil is still applied, as demonstrated below. Now the cookies are baked. Next up, it's time to make the icing. Combine 1 egg white, 2 teaspoons of lemon juice, 1 teaspoon of corn syrup and powdered sugar and give a good stir. 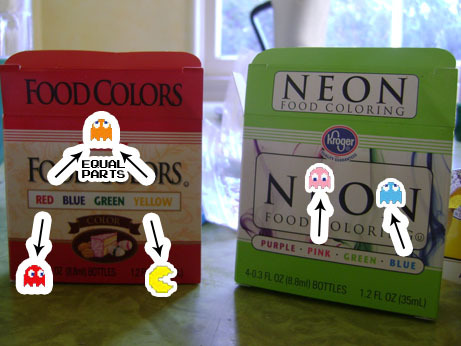 Combine red and yellow to create orange, don't forget to save some icing for the color white. To mix the color in, we will spoon parts of the icing into plastic bags—about 2-3 heaping spoonfuls should do for each color. Make sure to ration properly so you don’t run out. 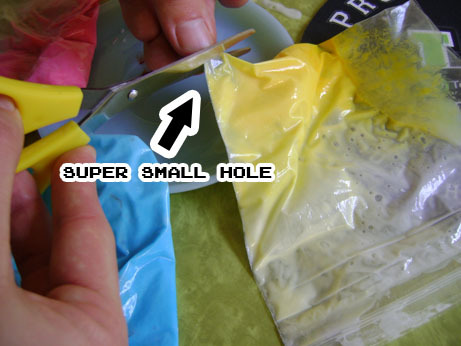 Once in the bag, add drops of food coloring and kneed the icing within the bag until the color is even. I found that bold colors such as red required many drops, whereas lighter ones like blue and pink required just a few. Once your colors are ready, cut small (like really small) holes in the corner of each bag. 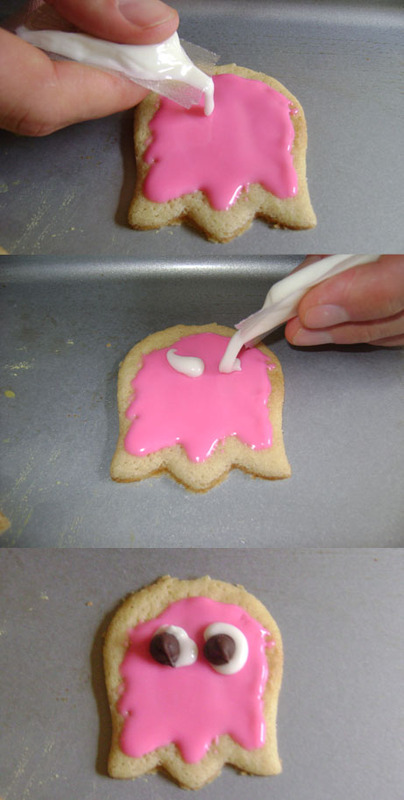 Then drizzle the icing over the cookie. Go very light on the icing and use a butter knife or spoon to spread it out evenly. 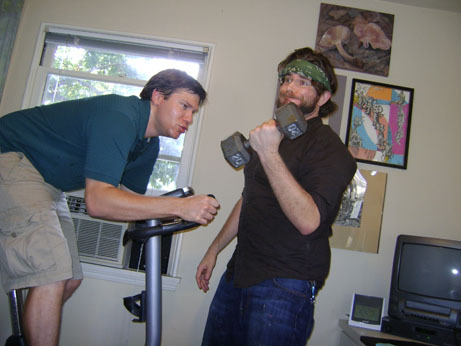 Start off EXTREMELY light—I can’t stress this enough. Now that the icing is dry, it is time for the eyes. The whites of the eyes will simply be some leftover uncolored icing (make sure to save some) and the pupils will be chocolate chips. You’ll want to offset the position of the “whites of the eye” and compliment them by where you position the chocolate chips. Remember go light on the icing, when you press down the chocolate chip, you will spread out the white icing. All done! Have a little fun with it! We made a maze with the leftover icing! 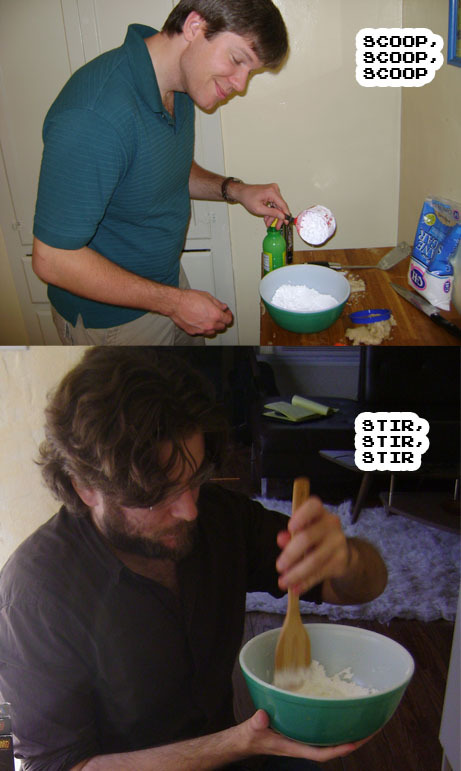 BIG UPS to Helvetica from http://Snack or Die for the original recipe. 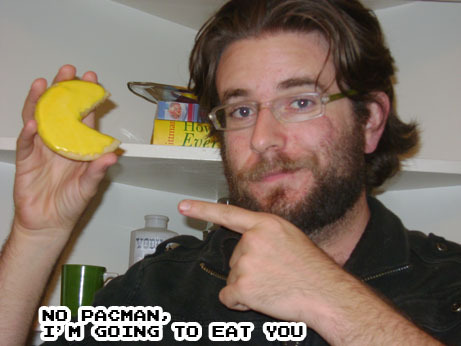 Tune in next week for Ms. Pac-Man Pizza!